Lungs opens on September 22. (SPOT.ph) If you're in your late 20s or early 30s, family reunions almost always mean that you're in for a barrage of questions—"May boyfriend/girlfriend ka na ba?" "Kailan ka mag-aasawa?" "Kailan niyo ako bibigyan ng apo?" It’s worse if you're right smack in a seemingly dystopian world plagued with the effects of climate change and a turbulent social landscape, so that bearing a child almost seems like a disservice to humanity. Sandbox Collective hopes to capture this worldwide struggle through a two-person, one-act play by Duncan Macmillan titled Lungs. 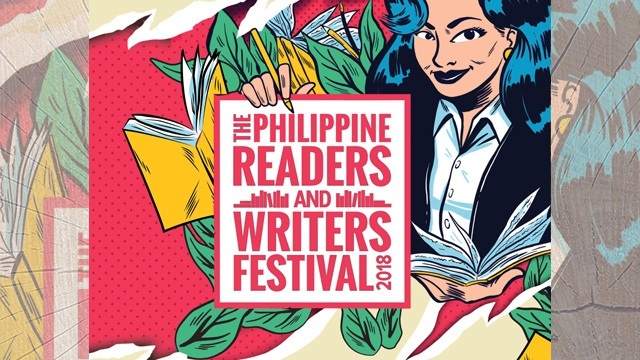 It is set to run from September 22 to October 7 at Power Mac Center Spotlight in Makati City. 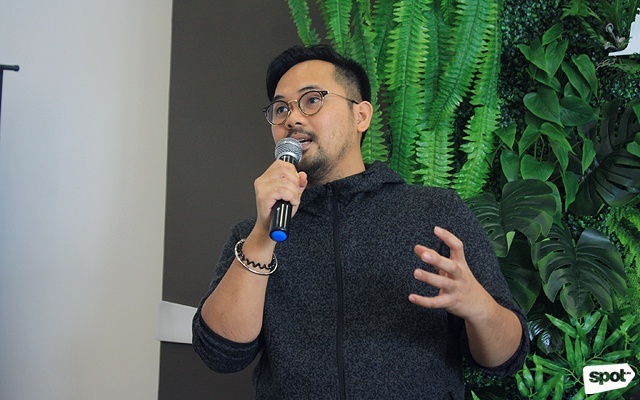 “It’s about relationships and being with a partner that gets you, living a life where you compromise and make decisions together,” director Andrei Nikolai Pamintuan explained during the press conference on August 8 at Privato Hotel in Mandaluyong. The story follows a 90-minute conversation between M (Jake Cuenca) and W (Sab Jose) while they decide whether or not they should have a baby amid an environmentally threatened world. Lungs is “really small, really intimate,” emphasized Sandbox Collective managing artistic director Toff de Venecia. 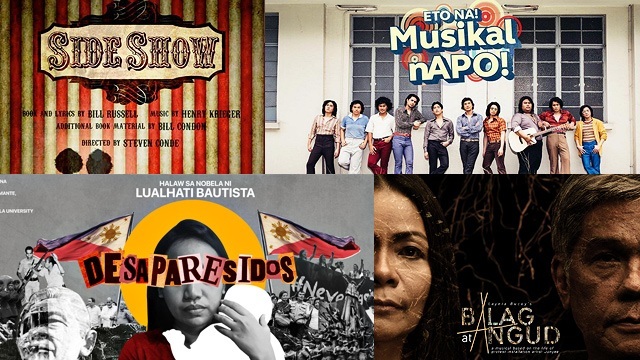 It’s a big leap for the theater group that just came from a 40-member musical production (Himala) in February, while its sister company 9 Works Theatrical is just about to close a big musical (Eto na! Musikal nAPO!) this August. The biggest challenge is that it’s supposed to have “no set, no light, no miming, no props,” says Pamintuan, who’s used to staging a big spectacle, especially after closing the third run of Sa Wakas in April. "We really have to “trim it down and focus on these two people’s journey,” he continued. But still, it’s a welcome challenge for the artistic team—it’s “unlike anything you’ve seen before,” teased de Venecia. The cast presented an excerpt from the play during the press launch. The two-cast play runs for 90 minutes and there will be no intermission. 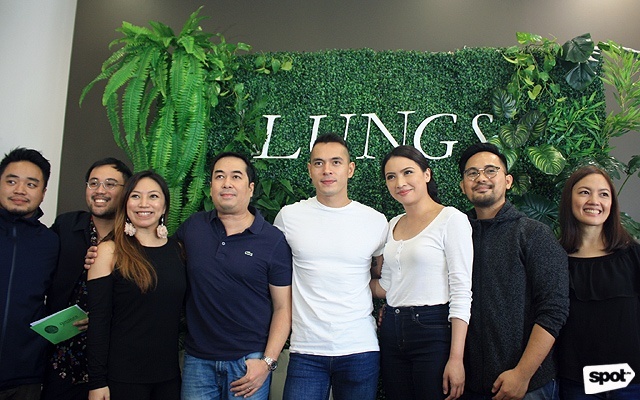 Another surprise that Sandbox Collective and 9 Works Theatrical have in store for the viewers are Lungs’ headliners: Cuenca, who we often see on the big screen and on television and Jose, who is known in the theater industry for belting out tunes. This time, they’re doing a straight play powered by just the dialogue—with no intermission and without leaving the stage. “It’s the perfect material for me. It’s very, very real,” Cuenca enthused about his theatrical debut. It was in 2013—after the theater company's after-party for Grease—when he told 9 Works Theatrical executive producer Santi Santamaria that he wanted to dabble theater someday. In 2014, he took time off from show business to take a month-long acting course at the Lee Strasberg Theater and Film Institute in New York. Fast forward to 2018, Santamaria got in touch with him for Lungs and the actor immediately said yes. So far, he’s fallen in love with the process and hopes to “have it in the bag” come opening night. For Jose, it’s a matter of juggling her time between preparing for Lungs and performing for Eto na! Musikal nAPO! “It’s been crazy,” she exclaimed, for obvious reasons. But according to her, the back-to-back productions helped her with the process and allowed her to explore more about the art and herself. She also just returned to Manila from graduating with honors from the Guilford School of Acting in London earlier this year, which means that both the actors have training from two of the world’s theater hotspots. “They really balance each other out,” Pamintuan added about directing the two.